2 DVD released in a gatefold Digifile limited to 1000 copies - RARE ! Live documentation from the 4th Flammenzauber Festival in 2004 at the Wasserburg in Heldrungen. The video-recordings were made by 3 TV-cameras and the sound was directly recorded from the mixing-desk. Each performance begins with a short graphic intro, and closes with performer credits. The Mercy Design and Waldteufel interviews are in German. The In Gowan Ring, Changes and Ostara interviews are in English. 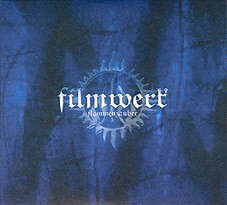 Customer evaluation for "V/A Sampler - Filmwerk Flammenzauber 2DVD (Lim1000) 2005"